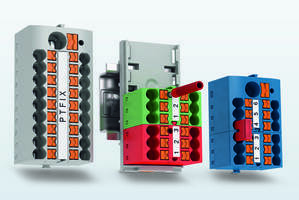 Fuse Terminal Blocks conserve space in Class I, Div 2 areas. Available for use in hazardous locations, UL-certified UT 4-PE/L/HESI series incorporates screw connection in 6.2 mm pitch and provides fusing, feed-through, and shielding functionality in one package. 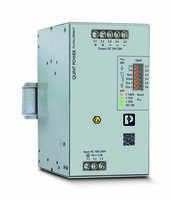 Double-level design reduces DIN rail space requirements, and double bridge shaft on each level accelerates installation of potential distribution. Also included, ReakdynÂ® groove eliminates screw back-out and delivers reliable termination of stranded wire (with or without ferrules). 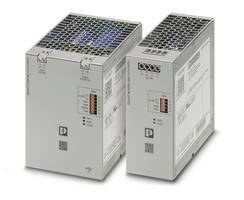 Phoenix Contact now offers double-level fuse terminal blocks with UL Class I, Division 2 certification for use in hazardous locations. The UT 4-PE/L/HESI fuse terminal block series incorporates reliable screw connection in a 6.2-mm pitch. The new multi-level terminal blocks provide fusing, feed-through, and shielding functionality all in one package, saving space, time, and money. 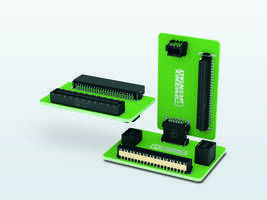 Compared with single-level blocks that would require three blocks to perform the same function, the new double-level blocks require 66 percent less DIN rail space. The double bridge shaft on each level allows quick installation of potential distribution. 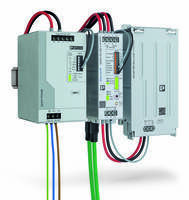 The UT line uses Phoenix Contact’s Reakdyn® groove, which eliminates screw back-out and delivers reliable termination of stranded wire, with or without ferrules. It is rated for multi-conductors. In addition to CID2 certification, the terminal blocks also have approvals for: Class I, Zone 2, EX, IEC EX UL, cUL, AEX nA II Gc with current ratings of 20 A and 300 V UL. 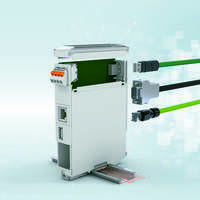 The fuse blocks are part of Phoenix Contact’s CLIPLINE Complete modular terminal block system. The system includes identical bridging, marking, and testing accessories across all termination technologies, minimizing inventory costs.